Network Rail and its appointed contractors providing the engineering and maintenance for the rail networks have all become highly vulnerable to a copper crime wave fuelled by the soaring price of all scrap metals. For locations like railway engineering works it is not always practical to install permanent CCTV or cost-effective to have 24-hour manned guarding. But these are the very same locations where cable is stored (or simply left lying around) while work is in progress making them highly vulnerable to theft. 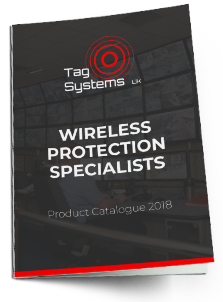 Working with British Transport Police, Network Rail and other affected organisations, Tag Systems has developed dedicated, bespoke wireless CCTV and alarm systems specifically to combat this rising tide of ‘cable crime’. Tag Systems wireless CCTV functions in exactly the same way as conventional CCTV but without the need for cabling. To maximise effectiveness it can be integrated with our wireless alarm systems that can be hidden within a cable reel – if there is unauthorised movement of the reel the alarm is triggered. Being wireless, the system is much quicker, easier and simpler to install; no phone lines are required and it can be redeployed in any new location giving major reductions in overall security costs. With the known deterrent effect of CCTV, we can back up any installation with our 24-hour central monitoring service which means we can react instantly to any incident, alerting on-site security, mobile patrols or the police.